We did highlight an upcoming mod exhibition called (simply) Mods in Northampton a couple of weeks back, but only now have we managed to get some concrete details about it. Find out for yourself by reading on. 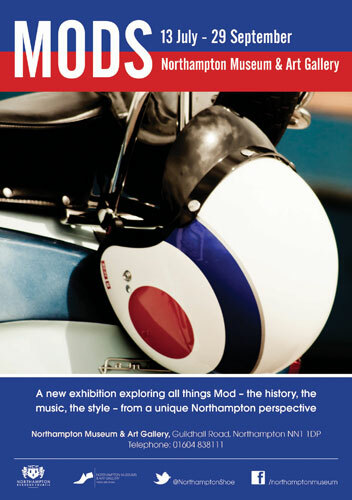 Mods runs from 13 July to 29 September at Northampton Museum and Art Gallery in Guildhall Road, Northampton. For everyone – People who were mods, People who are mods, People who will enjoy learning about mods. It is a celebration of Mod culture and an explanation of why it is so enduring and important. Mods is arguably the most enduring and influential subculture to emerge since the second world war. It has influenced mainstream music, fashion and style like no other. Just when you think it has died it bounces back – in truth it has never gone away! The exhibition will tell the story of the original mods in the 1960’s, the revival in the late 70’s and early 80’s, the re-emergence in the last 10 years. It will focus on music, fashion, style and scooters with a mix of displays, videoed interviews, photos and scooters. 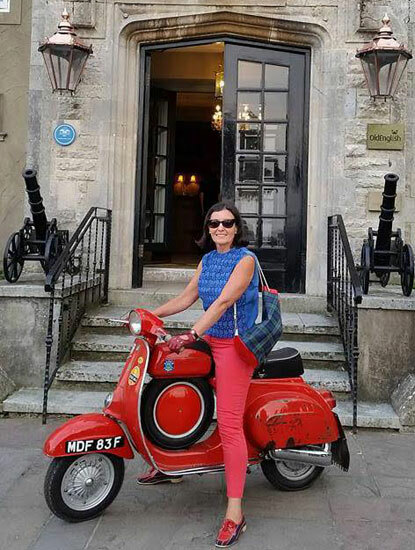 5 Scooters will be on display together with outfits and artefacts all lent by local people. In addition we have received help from the lead guitarist and singer from Secret Affair – one of the leading revival bands of the late 70s – who are lending two vintage stage outfits and a 1968 Fender Telecaster. Whilst the exhibition will tell the national story the real focus is on local Northampton stories. Over 20 local people have contributed to the exhibition by having their experiences recorded on video, lending artefacts or lending photos. This exhibition couldn’t have happened without these people’s amazing contributions. It is an exhibition designed both for both local people and visitors to enjoy. This is a brand new exhibition for NMAG in a style it has not done before. Curated by Paul Lander (museum manager) and Tory Turk (young freelance archivist and curator) with a team of 5 volunteers and support from the University of Northampton. I have just agreed with Jamie Garbutt that we will show a selection of photographs from his Mods and Sods portfolio. 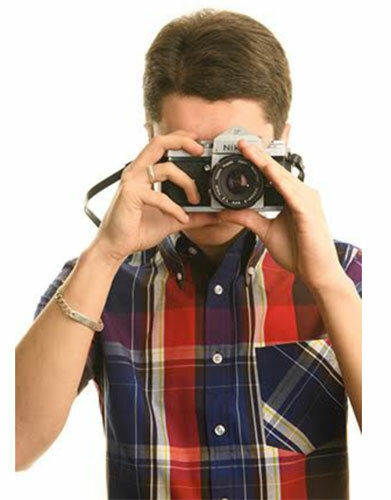 This will be the first public showing of these photos. There are also some events being put on around it, but those are very much down to personal taste. Terms like ‘mod disco’ and ‘mod tribute band’ might appeal to some, but they might leave other running for the hills. But for the record, there are DJs in the museum spinning some vinyl on the opening night of 13 July, with a tribute band on 2 August placing across the board sounds and an appearance by Secret Affair playing live in the Guildhall on 13 September as part of their 2013 national tour. Tickets for all the events are available from the Royal and Derngate Box Office or (unless sold out) on the door. Other events and additions are planned, including a cinema screening of Quadropenia (date to be confirmed) and other related club nights. Again, check locally for that.